Relaxing in the shower every morning might be the most enjoyable time of your day but cleaning it can be a nightmare if you do not know the right tricks. It is extremely important to clean your shower area regularly as the moisture and germs can settle in the most unlikely places also. 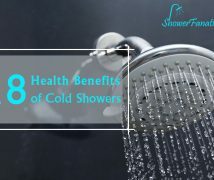 This also helps you enjoy your showers more as a clean shower area always adds to the experience. 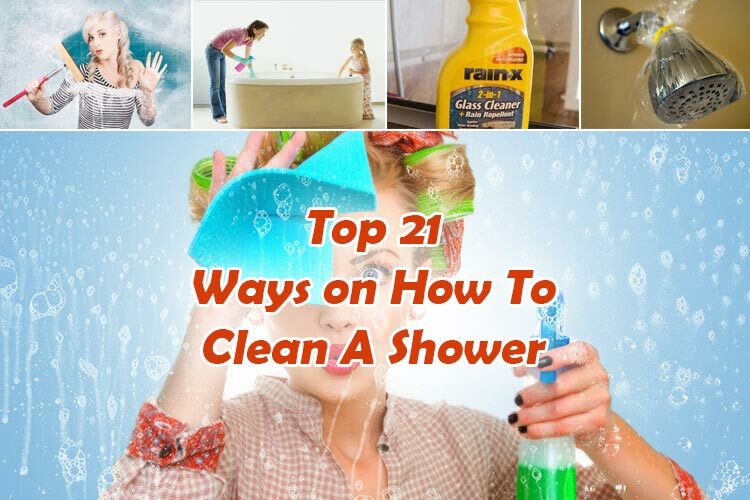 To help you understand more about how to clean a shower, we have compiled a list of 21 handy shower cleaning tips along with the products you will need for this cleaning process. These tips will help you clean your shower area easily and effectively. First of all, open the windows and doors of the shower area and the adjoining room before using any cleaning products. All these products have quite a strong smell and can generate fumes so it is better to keep the area well-ventilated before starting the cleaning routine. With regular use, salt and germs may get deposited on the shower head and can clog the nozzles also. Some people often struggle with how to clean a shower head but it is very easy. 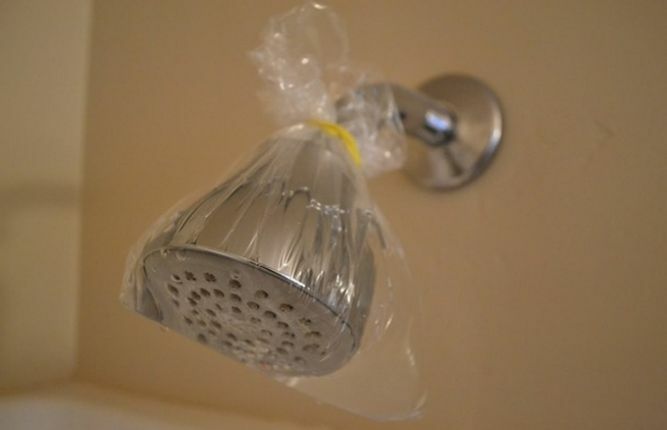 Remove the shower head slowly and keep it in a plastic bag full of vinegar overnight. 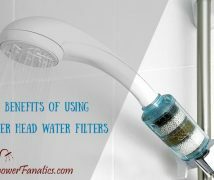 Rinse it in the morning with clean water and your shower head will be as good as new. 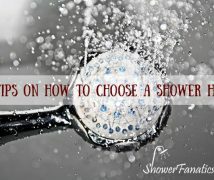 This tip will help you find the answer if you are wondering how to clean shower head holes. Your shower curtains can be a home for mold and mildew if not properly cleaned regularly. One way to ensure that you never see mold on your curtains is to wash them with salted water when they are new. You can also keep your freshly washed curtains in a bowl of salted water to protect them from mildew. Wash the curtains thoroughly in the washing machine and dry them naturally. If you think that your faucets and other stainless steel fittings need a thorough cleaning, use a mixture of baking soda and vinegar to gently remove all the scum accumulated on the fittings. 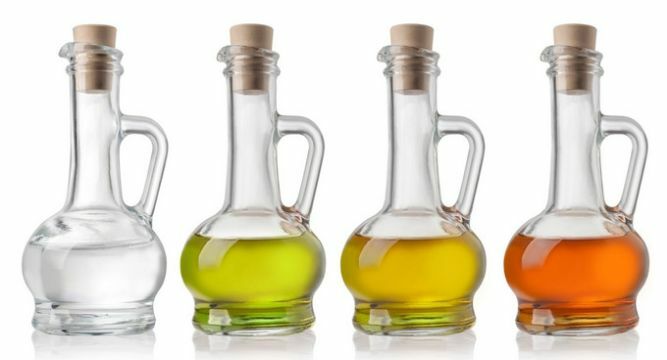 There are some other ways also which will help you understand how to clean a shower with vinegar. The fittings will shine like new in no time. You can also use a lemon to clean all the chrome fittings. If your shower has a steam function, switch it on a few minutes before you begin cleaning to loosen all the dirt and grime stuck to the fittings and the tiles. Use a handheld shower or a spray bottle to remove the grime with pressure before you begin cleaning the tiles. Rain-x is one of the best products you can use to keep your shower door clean and dry for a long time. 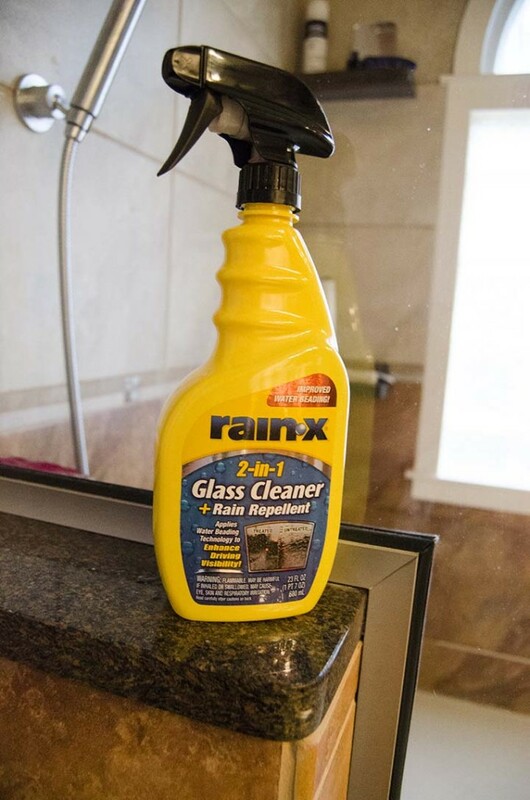 It not only cleans the glass doors but also repels the water droplets to keep the door dry and clean for long. This way the water droplets do not leave drying marks on your shower door. 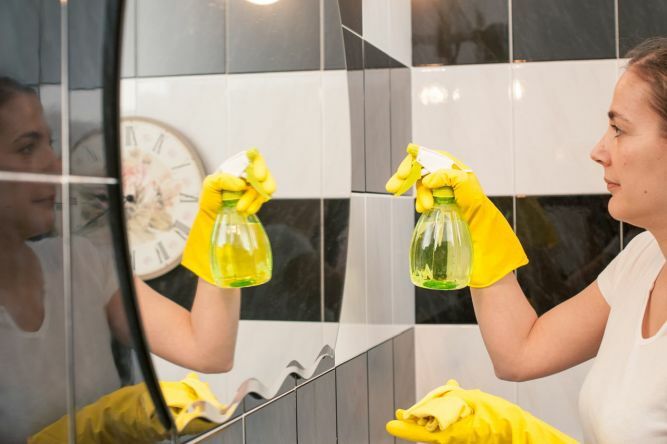 This may sound silly but you do not know how many people still begin to clean their bathroom walls from the bottom and this can make their cleaning job quite lengthy. Start by taking a dish sponge scrub and use soap and water to clean the walls. Rinse them with water once all the walls are scrubbed properly as washing them one by one will splash water on the other walls also. You would not have to clean your shower walls every few days if you follow this step. Use a clean and dry microfiber cloth to dry the walls after showering each day to prevent drying stains. The whole process takes just a few minutes but can help you save a lot of time in the long run. 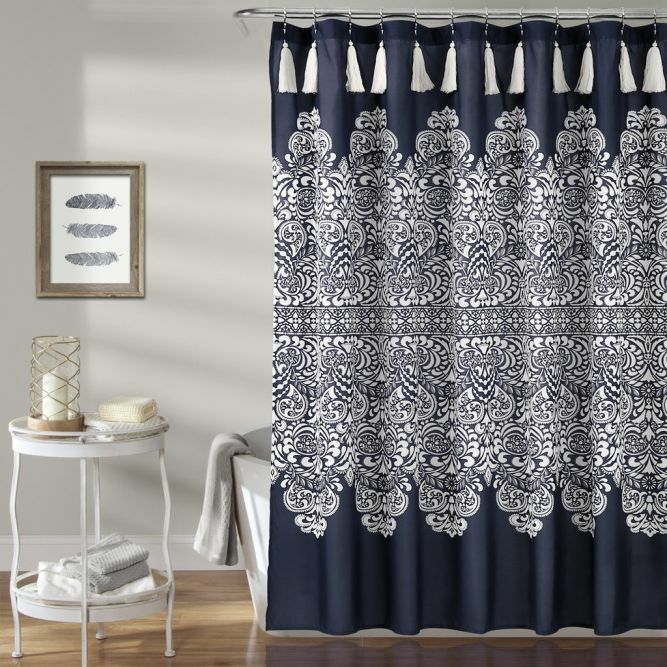 Tired of the mold and mildew deposits on the curtains? The best way to clean shower mold is to shake the curtain after every shower to let all the water drain down the curtains. If there is no accumulation of water on the curtains, the mold growth will be very limited. Enhance the rate of water dropping by cutting the curtain liners and curtains using a pair of shearing scissors. The sheared pattern at the bottom enhances the rate of water dropping by decreasing the surface area. Use a mixture of baking soda and vinegar in a bowl and use a clean toothbrush to apply it on the borders of the tiles on the floor. This is a great DIY if you are wondering how to clean a shower floor. Using a new toothbrush helps as it has hard bristles which clean the grout settled in deep spaces. 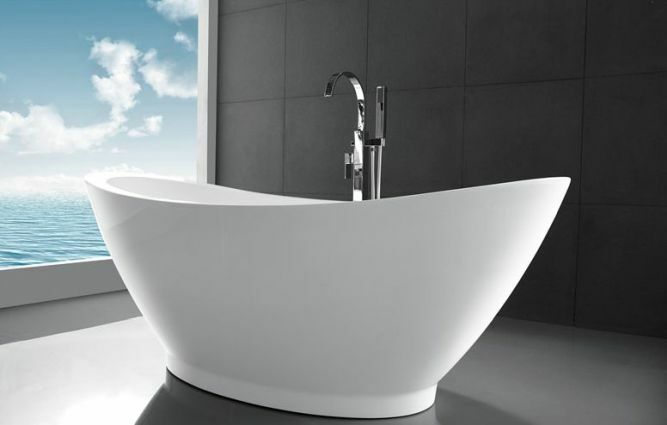 While cleaning the bathtub, do not clean vigorously if you have an acrylic bathtub which can get damaged if abrasive products are used on it. Just use a mixture of soap and water on a loofah to clean the tub gently without applying too much pressure on it. 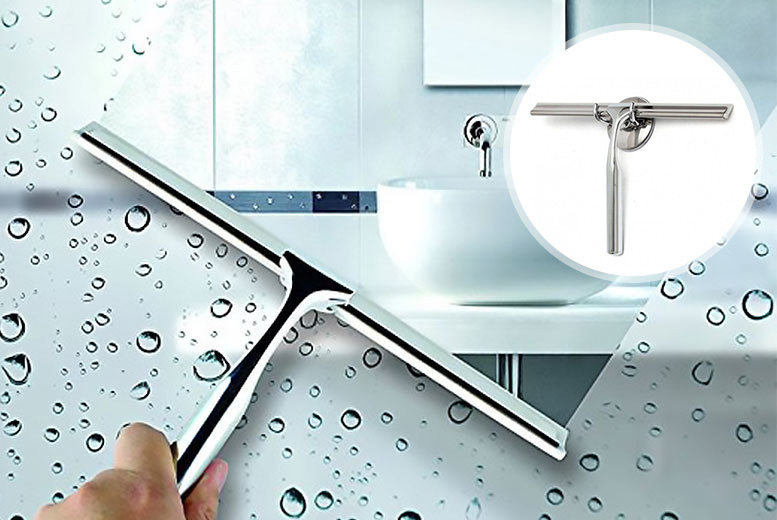 Keep a squeegee handy in the bathroom to remove water collected between the tiles so that the water and soap mixture that you wash off does not get settled on the tiles and leaves dirty stains. Leave the squeegee to dry off once you use it to make it ready for the next post-shower cleaning session. Do you notice how the products you keep on the floor or on the shelf leave little circles of dirt and water beneath them? 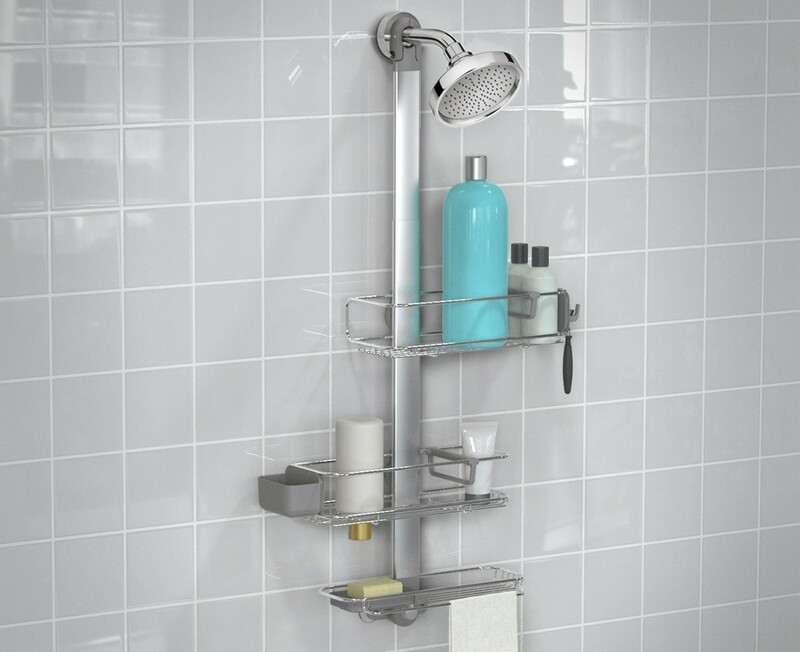 Keeping these products in a hanging shower caddy will protect your bathtub edge and shower floors from getting dirty and you can clean the caddy once in a while easily. A clogged drain is one of the most common issues we encounter on daily basis but installing a drain strainer can help you get rid of this problem easily. It catches all the hair, dirt, soap scum, and other deposits to prevent your drain from clogging up. To clean a clogged drain, pour a mixture of ammonia plus hot water into the drain to dissolve all the soap scum covering the pipes. Do not think of cleaning the whole shower area as this can seem too big a task and you will begin to lose motivation after a while. Divide the area into smaller sections and then begin to clean one section at a time and finish it before moving on to the next section. Cleaning or replacing a liner is much easier than cleaning the actual curtain. Using liners will not only keep your shower curtain protected from the water and soap but will also make cleaning the shower easier every time. There are many good curtain liners available in the market from which you can choose according to your requirements. Switch on the exhaust fan and leave the bathroom door open to let the bath area dry naturally to prevent mold growth. 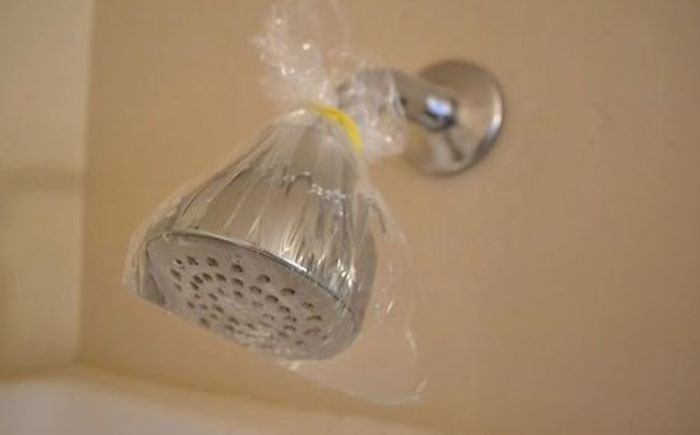 This is one of the best shower cleaning hacks as it helps you reduce your cleaning workload significantly. 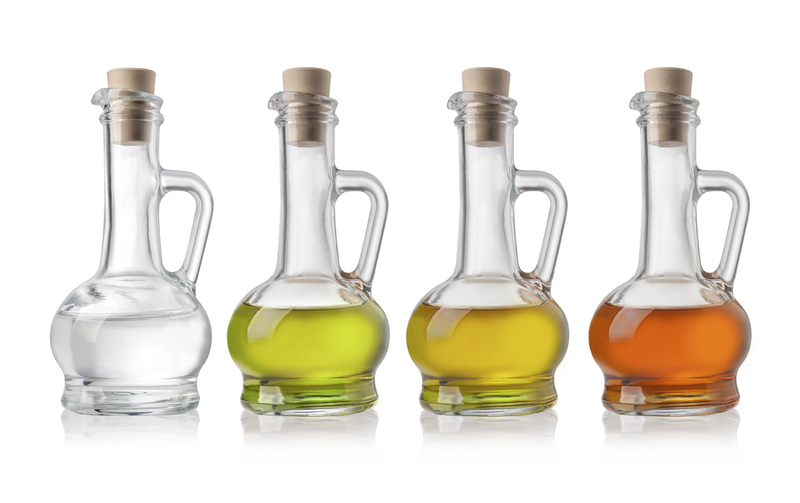 Keep a mixture of vinegar and lukewarm water in a spray bottle and use it to clean a cloudy mirror with stains on it. Shower mirrors can get extremely dirty if you do not clean them regularly so it is better to use one of these handy shower cleaning tips to keep the mirror spot-free. Once all the cleaning is done, rinse every nook and corner and let it dry before keeping a sachet of a mild air freshener in the shower room for getting a pleasant experience every time you shower. The freshener will keep unwanted odors at bay. 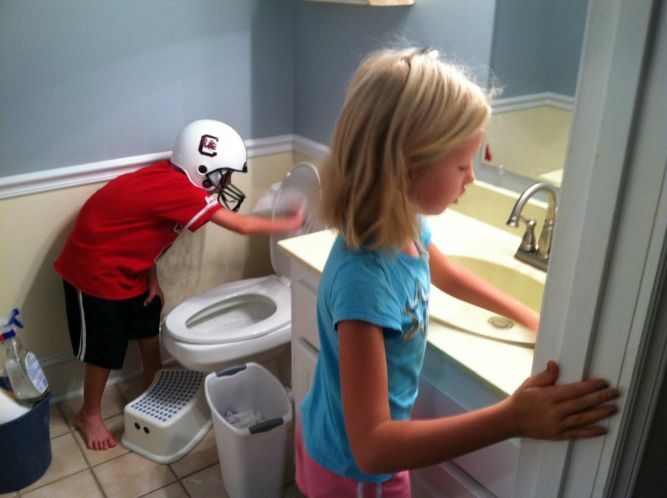 If each member of the family cleans the bathroom every time they shower, it will make your task of cleaning the shower a whole lot easier at the weekend. Encourage the members and teach them these handy tips so that your shower area remains sparkling always. So these are 21 great tips on how to clean a shower area easily using just a handful of products. So the next time you are wondering how to clean your shower in just a few minutes, these tips will prove to be quite helpful. Do you clean your shower regularly? Which is that one shower cleaning tip you swear by?